Nev has spent years perfecting his version of the retro fish. Fast, loose, and great fun in all conditions. 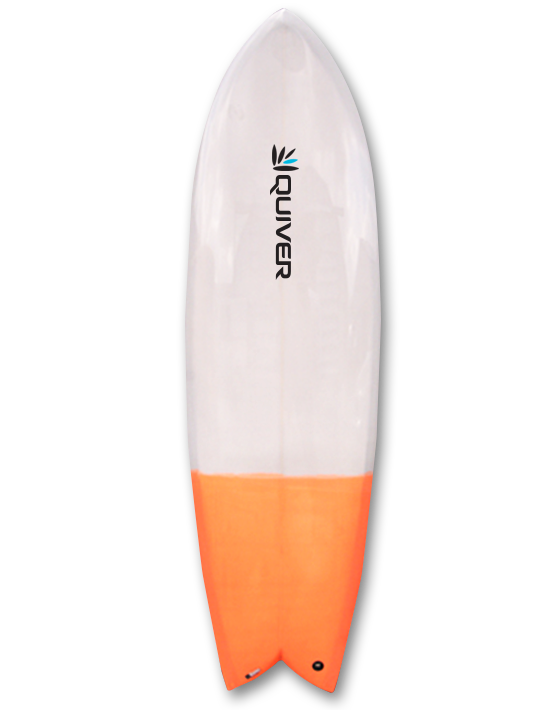 The Quiver Retro Fish is a must have in any serious surfer's quiver. The below dimensions are guidelines and we can completely customise a board for you. Click a Q-Tech level logo to go to the board spec and to order. Product ID: 624 Category: Boards. The dimensions in the dimensions chart are guidelines and we can completely customise a Fish board for you.